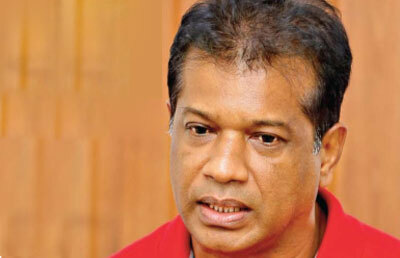 (Ceylon Today) Chairman of the National Trade Union Centre K.D. Lalkantha in an interview with Ceylon Today said that UNPers have undoubtedly shattered their aspirations for a better economy.
? : How do you read the current political developments in the country? A: People were disgusted with the Rajapaksa administration so they formed a new government under the leadership of the President Maithripala Sirisena. Rajapaksa regime had come to a natural death due to the absurd ways of its administration during their tenure. Now the same has come upon the present government in a very short span of time. People are in dire need of a solid alternative. They are compelled to walk away from the last two consecutive governments because they have witnessed and tasted the bitterness. People have rejected Mahinda Rajapaksa at two consecutive elections; therefore there is no political hope left for him. Moreover, the number of corruptions and misappropriations of the previous government have reached the people. So they know what transpired during that era. There is a vacuum for an alternative force in society. So we strive towards bridging that gap.
? : Your union extended support to the demonstrators and strikers at the Hambantota Port, what was the story over there? A: The employees were recruited to work in the Hambantota Port. These appointments were made by Namal Rajapaksa, Rohitha Abegunewardena and the current minister Arjuna Ranatunga. Some of those employees had given up their previous employment to join Sri Lanka Ports Authority (SLPA). It is a known fact that the salaries paid by the SLPA are comparatively higher than at other institutions. But later on they realized that they were working for a private company and providing manpower services to the Ports Authority. The issue is if these employees provided their services to the SLPA, why, can’t they be made permanent employees of the SLPA. There was an identical request made by the man power employees of the telecom some time back. The National Trade Union Centre lead that struggle and ended it victoriously. These port workers request the government to make them permanent employees of the SLPA. The protesters have taken a ship under their custody. That was an attempt to seek national attention to their problem. That was a correct union action to gain attention. Also, the Navy launched rescue mission to take over the ships is also the correct decision. But the Navy Commander made a blunder when he attacked a media person. Navy has a bigger responsibility to serve, at this juncture, where Indian fishermen invade our seas and take home what rightfully belong to us. This is something the Navy should have been dealing. There is no way a strike to continue for a long time. It is a wise decision to stop it before going any further when the protestors had gained nationwide attention, to their issue. There are few steps ahead of them. But that will be an easy task since the issue is known nationwide by now.
? : Is there any pressure from the government towards unions and their activities? A: There is no direct pressure on unions, as was, during previous governments. However, there are instances where the Prime Minister had attacked union leaders in Parliament. He had called out union leaders by name and attacked, thinking that the union leaders are rioting against them. Prime Minister Ranil Wickremesinghe had never been able to serve the complete duration of his tenure. With the way things are going we see no exception this time.
? : Do you think the government will topple before its time? A: It’s not the entire government, but it is evident that Ranil Wickremesinghe is probably going to lose his position as the Prime Minister of this country. There is a very good possibility that a new Prime Minister will be appointed instead of him. A political storm is imminent. There are factors developing for the members of the Sri Lanka Freedom Party to walk away from the Unity Government. In that case the TNA would lose the leadership of the Opposition. This is due to the fact that Ranil Wickremesinghe works like a dictator. Late President R. Premadasa once said that the position of the Prime Minister is just like a peon, but see what it is like today. Ranil Wickremesinghe has made the Executive President of this country to look like a peon. So how do you expect the government to go any further with this ego?
? : What factors, in your opinion, contributed to the peoples hatred towards this government? A: Firstly the government has walked away from the objectives of its formation. They promised to bring the looters and the plunderers of the previous government to justice; and get back the lost hard earned public funds. No matter how many people lodged complaints to the respective authorities such as the Bribery Commission (CIABOC) and the Financial Crimes Investigation Department (FCID) but nothing has worked out. Also the people were anticipating the present government to fully eradicate corruption in keeping with the principles of their governance. That has become a mere thought in the minds of the people. There was a belief among the UNPers and some clusters of the middle class that Prime Minister Ranil Wickremesinghe is a ‘clean politician’, a politician who has never got his name dirty with allegations of corruption. So, the people believed in him when they cast votes. Now the idea had been challenged; even though some may still be reluctant to think of him as a looter, but surely they believe that Ranil Wickremesinghe had provided the required protection to those who were, due to be put behind bars for corruption. Majority of the people believe that. And also there is a common belief that the people will get money to their hands whenever a UNP Government comes into power. That belief has also become just another fiction, by now. When considering the recently passed Appropriation Bill (budget) in Parliament, it shows the manner the hard earned money of people have been pulled out by means of taxes and fines. There are no avenues for people to enhance their income. There was no dialogue by the government to propose ways for the people to enhance their income but there were extensive dialogues to implement new taxes and fines all along the way.
? : What is the ulterior motive of the government in doing all these? A: The government wants to cripple the purchasing power of the people. So that it paves the way for the government to collect monies from people through taxes and fines. The government plans to save on spending dollars, so the consumer demand should be discouraged. The government pledged that they would bring investments to the country. But, so far, they have failed. Now the rupee is left to depreciate to attract more investors. That is why the government allowed the depreciation of the rupee from Rs.131 to Rs.151. Now the people have to spend more money for the same goods and services purchased at a comparatively lower price earlier; in a situation where the rupee income of an individual remains the same. Again the purchasing power of the employees is being discouraged by depreciating the currency. Another obstacle in attracting investors is the level of high wages of our employees, in comparison to the situation at the regional level. That’s why the agreements like ETCA surface to provide low cost labour to industries. UNPers have undoubtedly shattered their aspirations for a better economy. And the entire society knows that. That they are not capable and competent enough to do it.
? : How do you see the government’s decision, to privatize Hambantota harbour, in order to save themselves from debt? A: The government is selling the Hambantota Port and the 15,000 acres around it for more dollars. Purchasing power of the people has been shrunk to save dollars. The government’s only objective has become saving dollars. See, even now they are not getting investments which will generate income to the people. There are a number of constructions on the ground to show that the previous government was keen on undertaking construction, but how many projects are generating actual revenue to the people. It’s like spending all the working capital and constructing a wall around the house. It will surely add glamour, but draw no actual income for the people. We should always aim at sustainable development.
? : The previous government had undertaken a number of mega constructions. They undoubtedly increased the country’s capital assets? A: Previous government have highways, towers, ports, air ports and many more concrete structures to show but none generates a decent profit compared to the size of the investment made. So how can you call them appealing investments? They are merely projects to destroy public funds. So what really matters is not the size of the capital asset, but the income it is capable of generating. We purchase goods to the value of US$ 20 billion a year; we export merely a US$ 10 billion worth of goods and services. So this is a vicious cycle leading the country to an enhanced trade deficit. Country’s debt proportions keep going up day by day and have a ripple effect. Therefore rather than wasting money on glamorous constructions, the government should push towards enhancing production. Governments have never had a vision to enhance production and to encourage entrepreneurs to take up manufacturing ventures. In order to get over this issue the government should have a short term, medium term and long term plan. But what does the government actually have? It’s just a plan to sell out peoples precious assets. Why do you actually need a government to sell the assets that belong to the people? There are nearly 2,000 acres being given to the BOI, still, there is space for investors to come and undertake ventures. But, in this situation 15,000 acres are being given to one single country, China. So they can do whatever they want in the country. Considering our stake in the transaction we would not be having any say on decisions.
? : Government is planning on Amendments to Labour Laws. A: The government is striving to change 15 important labour laws to facilitate investors. For example, according to the earlier rule if any employee undertakes an employment for more than 180 days, he should be made permanent in the respective position. But now the government plans to change the duration from 180 to 365 days. Why does the government have to take away the rights of the employees in order to facilitate investments? What’s the worth of any investment when the rights of the people are deprived in the process? Late Fidel Castro once said “Now I’m capable of giving only one glass of milk to my people, but if I can give 2 glasses per day, I would welcome such investment without any hassle.” That should be the right mindset of a leader when negotiating investments on behalf of his people. You don’t need governments to work like this.